The Hamburg-based artist Bobbie Serrano deals with a wide variety of social problems in his work 'Birds'. 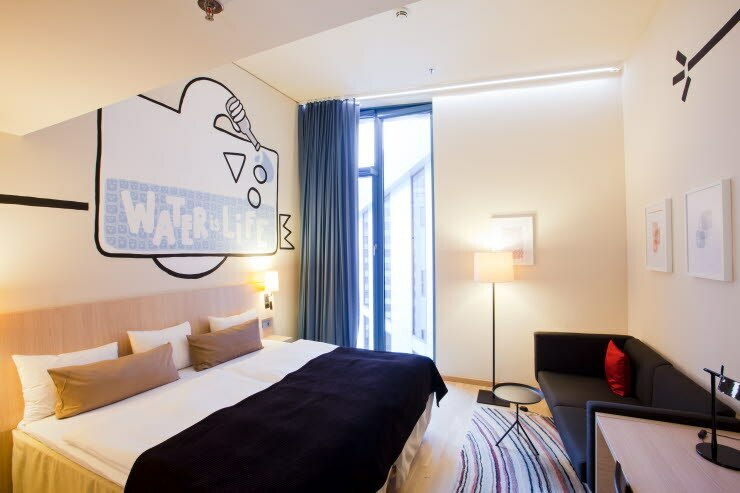 For the theme 'Water is Life' he has created a unique work of art in superior plus room 706. Bobbie Serrano is an illustrator, artist and founder member of the artist collective Der6teLachs. His works are characterised thematically as much by man and animal as by his desire to always collect new experiences and try out new techniques. As a qualified social worker, he engages with social problems and explores his existence in society, as well as the problem of interpersonal relationships, by means of a simple and reduced style in his 'Birds'. He also collaborates with partners in the music, fashion and media worlds, and supports Viva con Agua and artists at the Millerntor Gallery.